Is there a better alternative to Remixlive? Is Remixlive really the best app in Music category? Will Remixlive work good on macOS 10.13.4? Modular Grid: customize the grid size to your own preference, up to 10 columns and 10 lines. 48 samples per pack: beats, basslines, melodies, vocals and FX samples. Already over 18 varied sample packs, ranging from Hip-Hop to Dubstep - and more to come. Artist pack by legendary DJ/producer Carl Cox & more to be added. 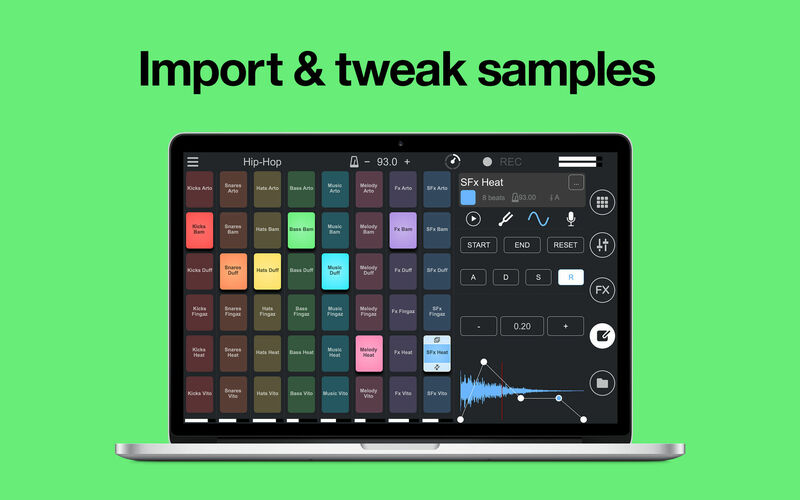 Create new packs by mixing and matching samples from existing packs. Remixlive needs a review. Be the first to review this app and get the discussion started! Remixlive needs a rating. Be the first to rate this app and get the discussion started! Colored pads: choose among 16 colors to customize your grid. 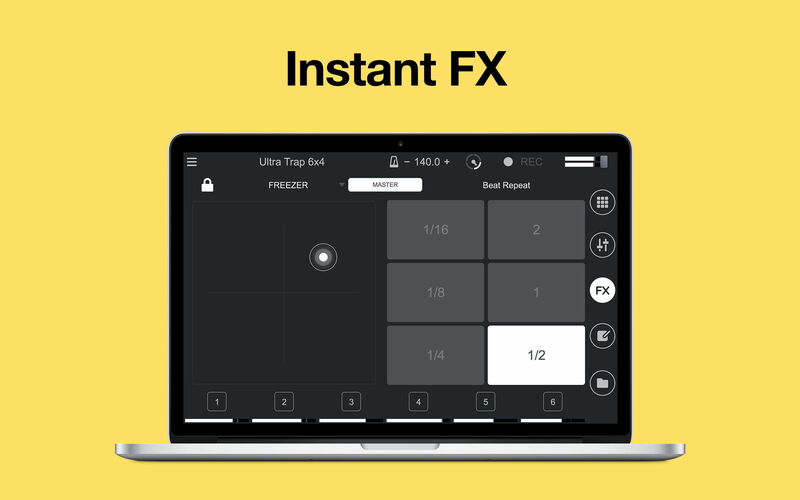 Instant FX pad with all-new effects: Infinite Delay, Low Phaser, Flangus, Jet-Up, Metalizer, Basic Slicer, Fast Gate, Crush, Bliss, Big Bright Hall, Freezer, Reactor. Live BPM control (time stretching): change the tempo on the fly without changing the pitch. Play several pads per column simultaneously. 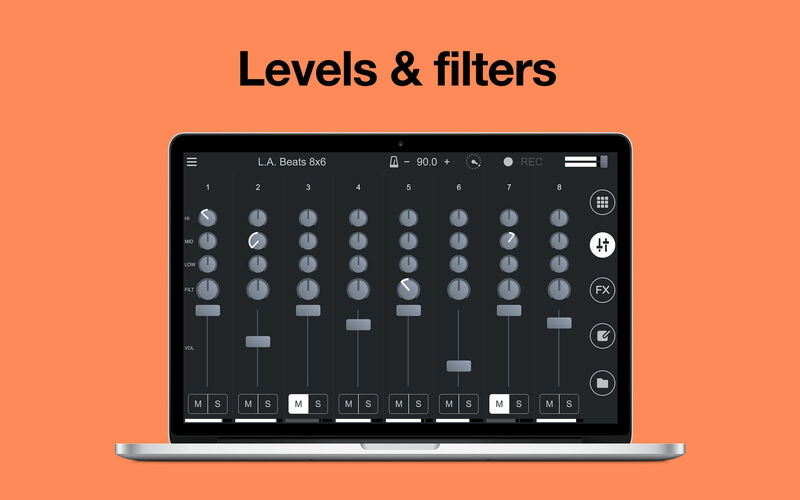 Full mixer: for each column, control level, filter, Mute and Solo + DJM-modeled 3 band EQs. Share your recordings via SoundCloud & YouTube. 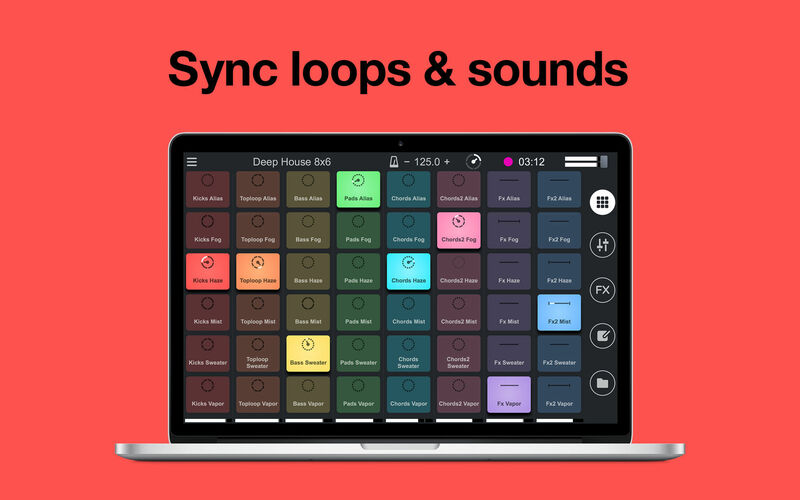 Support for any MIDI controller through MIDI learning. Control the app with your keyboard. VST & AU host sync and syncs plugin with host transport: sync Remixlive with the host software of your choice. Retrigger mode: tap on a sample to replay it from the beginning. 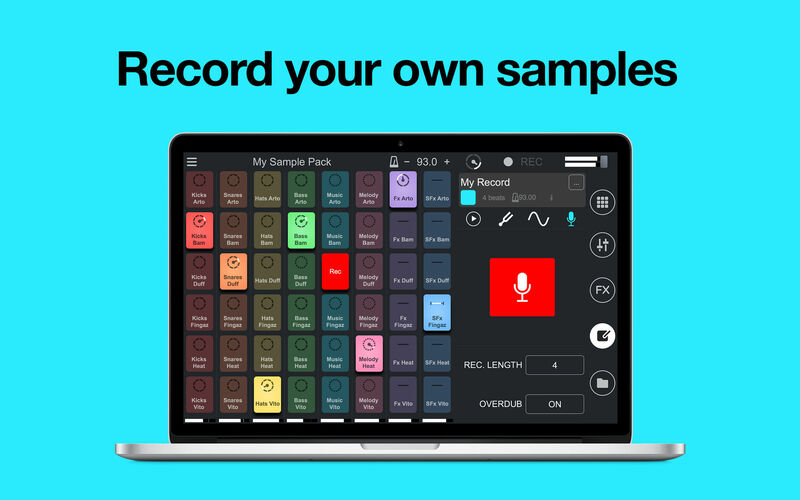 Record any sound or voice using any microphone or sound card. Transpose: raise or lower the tone of your samples.